1Rome Air Development Center, Deputy for Electronic Technology, Hanscom AFB, Massachusetts 01731. 2University of Rhode Island, Kingston, Rhode Island 02881. The topical meeting on Optical Phenomena in Infrared Materials, sponsored jointly by the Optical Society of America and the U.S. Air Force Office of Scientific Research, was held in December 1976. The meeting stressed research on optical effects in materials for modern IR applications such as laser windows, solar energy conversion, infrared detection and integrated optics. 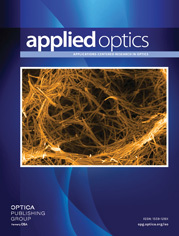 The November 1977 issue of Applied Optics publishes a representative selection of the papers given.